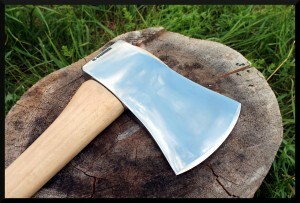 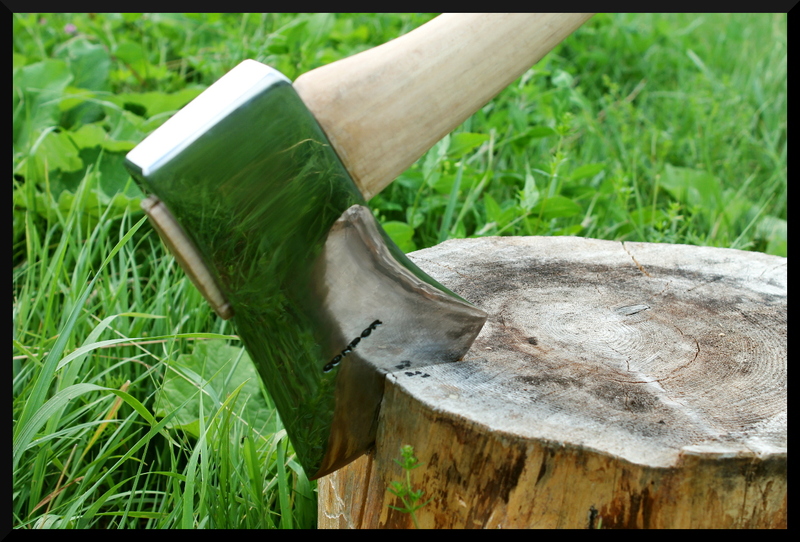 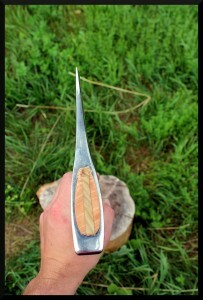 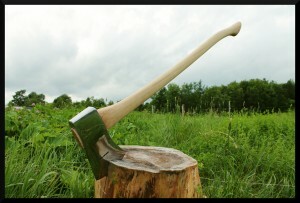 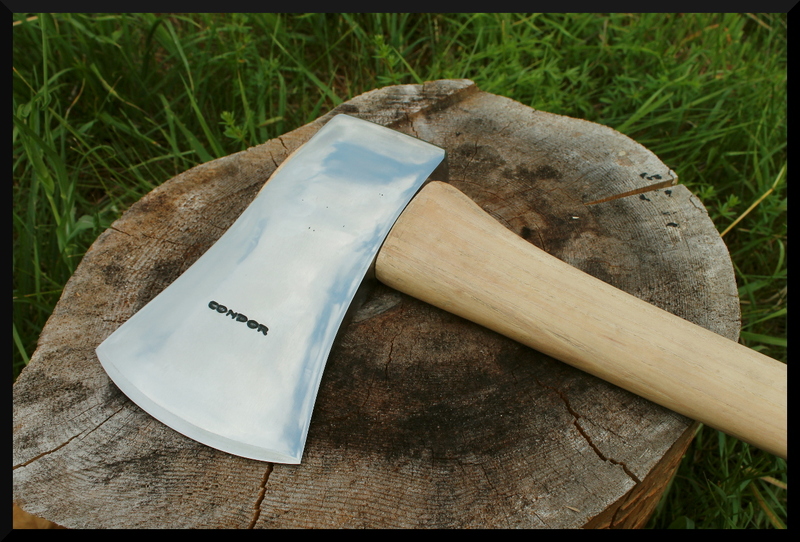 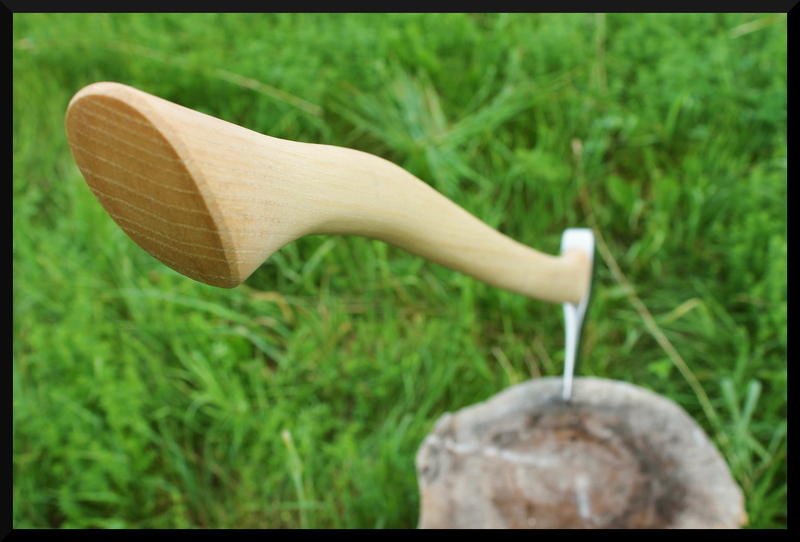 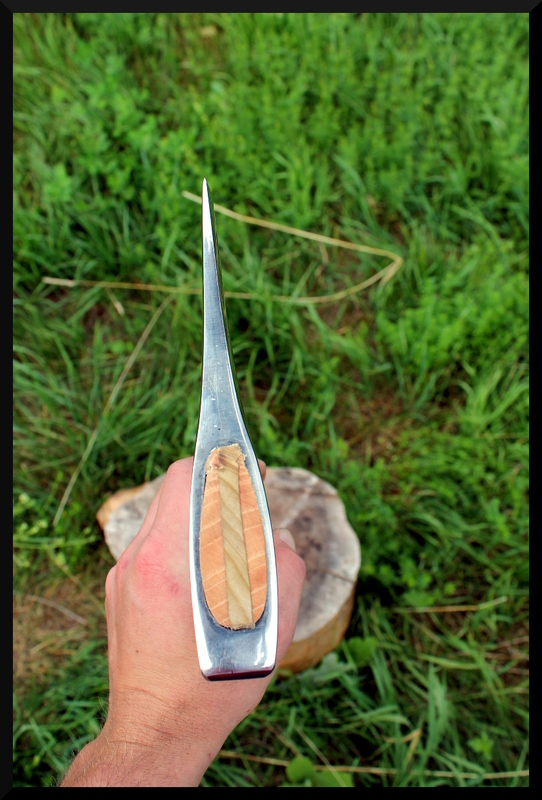 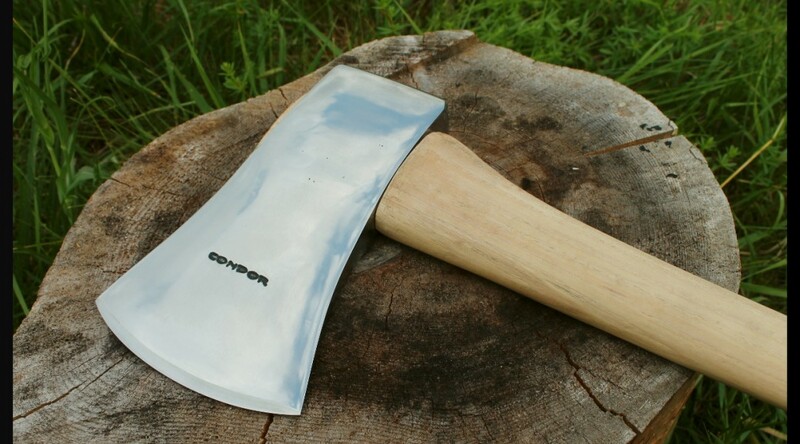 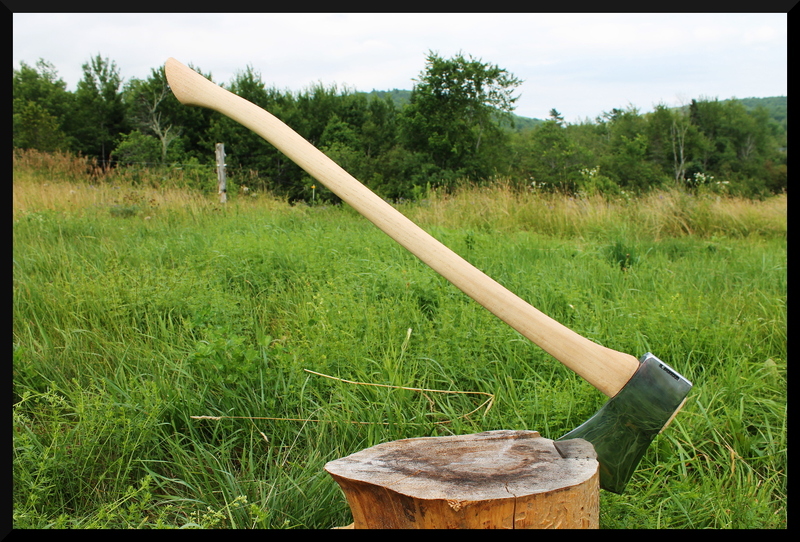 A Condor Michigan axe head ground and polished to a hazy mirror finish, and a high centerline ground in. 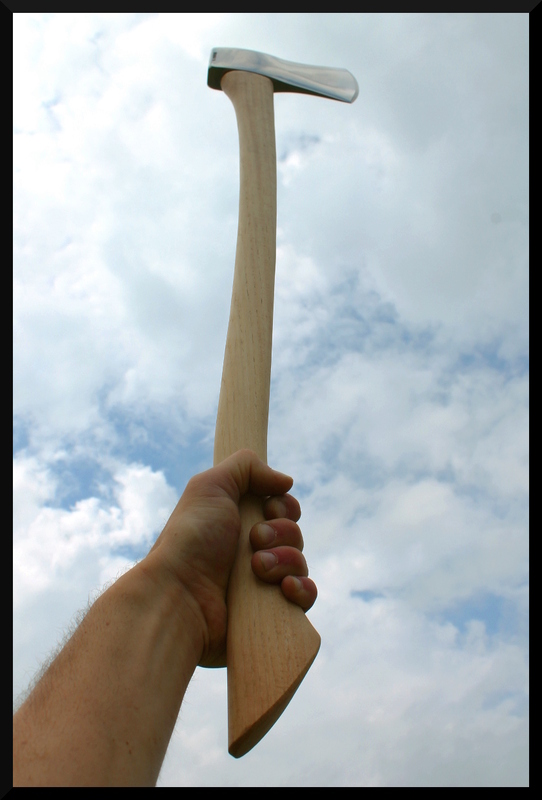 The handle is an O.P. Link shaved down to shape.